You are here: Home > Introducing our 2017 Lineup! 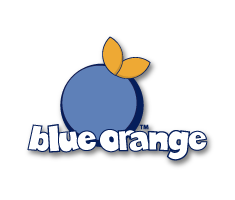 With a New Year comes new games from Blue Orange! 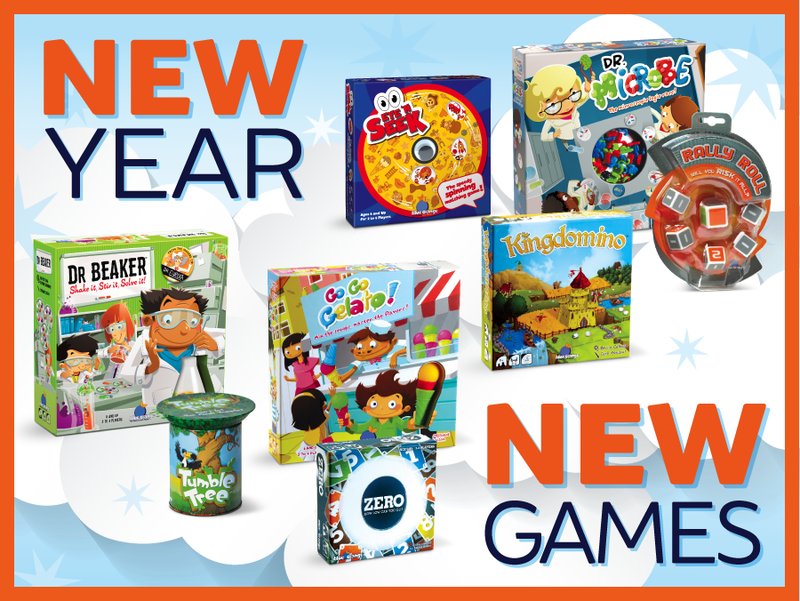 Keep reading to get a preview of the 13 new games we added to our catalog. 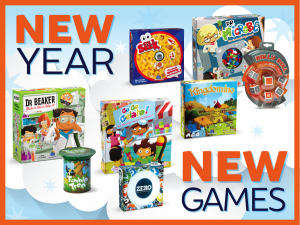 We have everything from logic games, to family fun games, to games with a classic-cool feel. 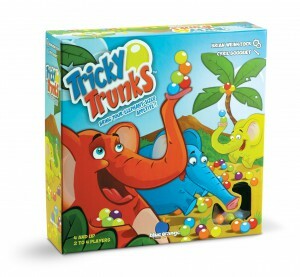 As always, they are all simple to learn, easy to play, and pack major fun. They are set to be in stores and online in March- we are just as excited as you are! In the meantime get your logic, strategy, and thinking brains ready, you are going to need them. With so many to choose from we dare you to pick your new favorite! Logic: Stretch your brain and think fast to win! Dr. Microbe has important research to do and she needs help! 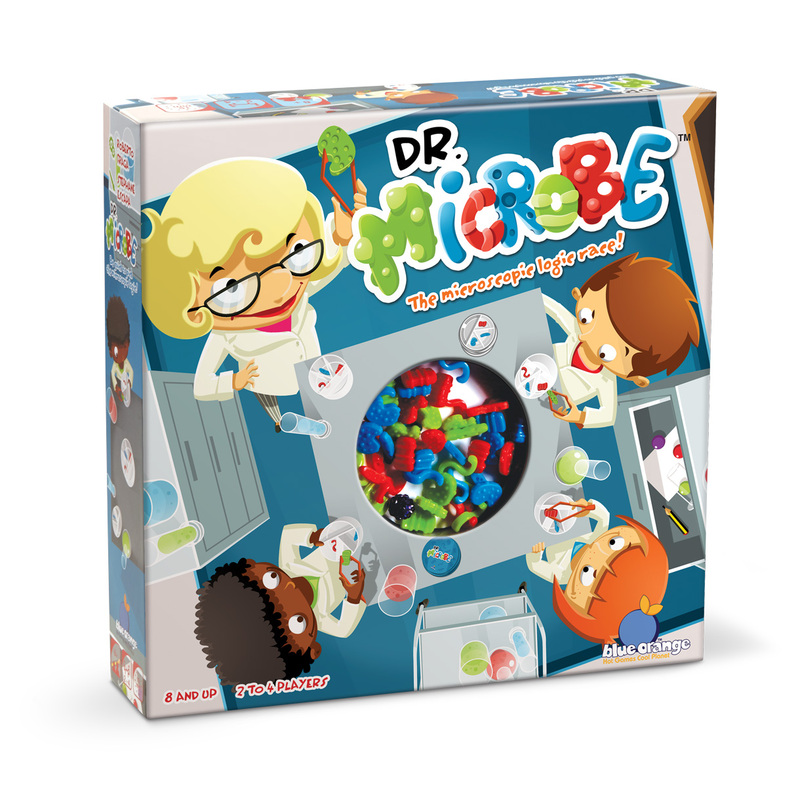 Using a pair of tweezers, players race to grab the correct colorful microbes and place them into their petri dish to solve an incomplete challenge card. Make sure to follow the research rules and finish first to impress Dr. 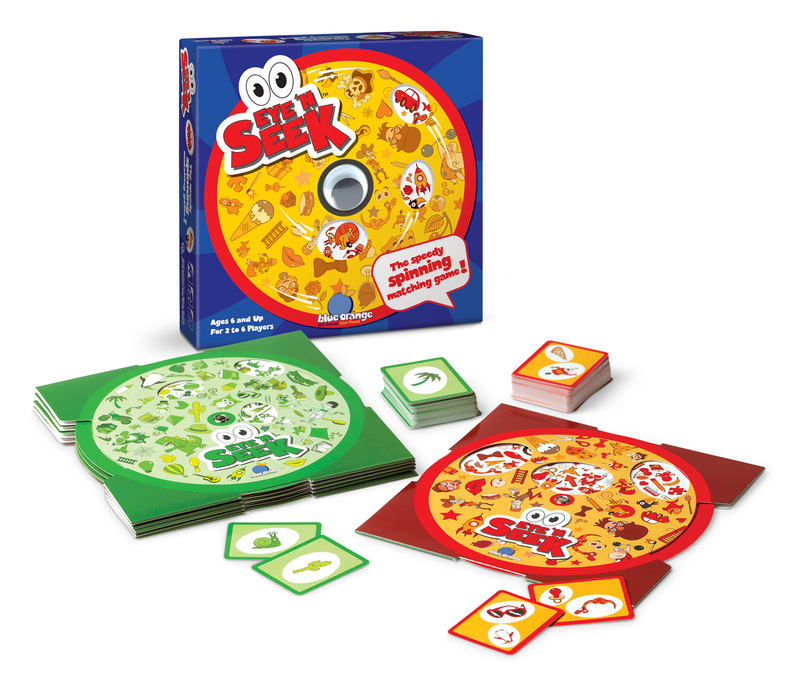 Microbe and win the card as a point. The unique concept and components will make this your new go-to! Stir up excitement in the third installment to the Dr. Collection! 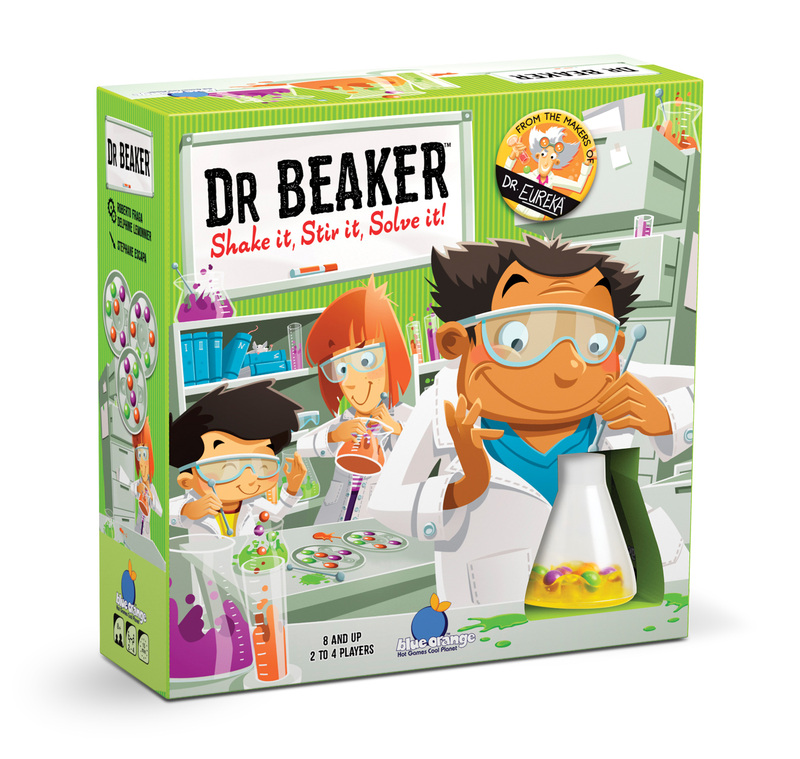 In this logic race, players move molecules around the compartments of their beaker to try and match solutions on flipped challenge cards. Players must think quickly and work fast as they rearrange the molecules with their stirring rods. The first to finish wins the card as a point! 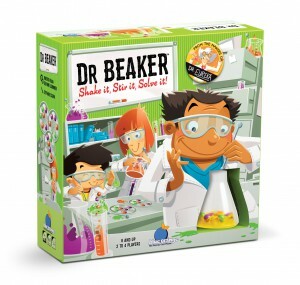 A special rotating platform at the bottom of the beaker makes this race unlike one you’ve ever tried! 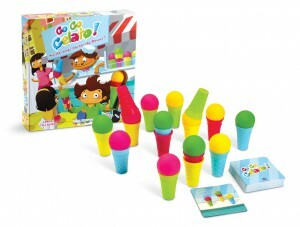 Become a gelato mixing master in GoGo Gelato! 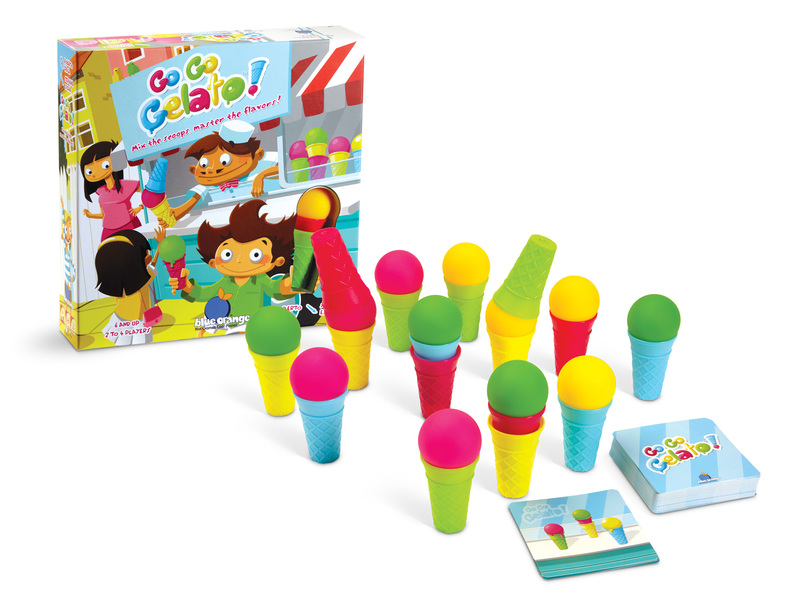 Players fill their customer’s orders armed with 4 scoops, 3 cones, 2 hands, and 1 challenge card in this delicious game of rearrangement. Happy customers are the ones whose orders are filled quickly and efficiently, so speed and thinking ahead are a must. This logic race has the perfect recipe for a good time! Family Fun: Perfect for when everyone wants to join in! Build your own baobab tree in this card placement game. 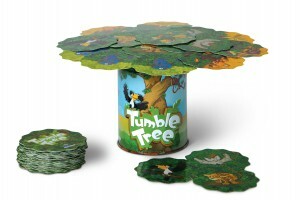 Each animal card has its own way to be added to the ever-growing canopy, but place them carefully! If the branches are overburdened the tree will fall. Avoid penalties and be the player with the least amount of cards at the end to win, but most importantly…don’t let the tree-top topple! Spin to win! Flip a card and then rotate the wheel to find its matching icon in the windows. Hurry, it’s a race! Spot the match before your opponents to win the round and a point. 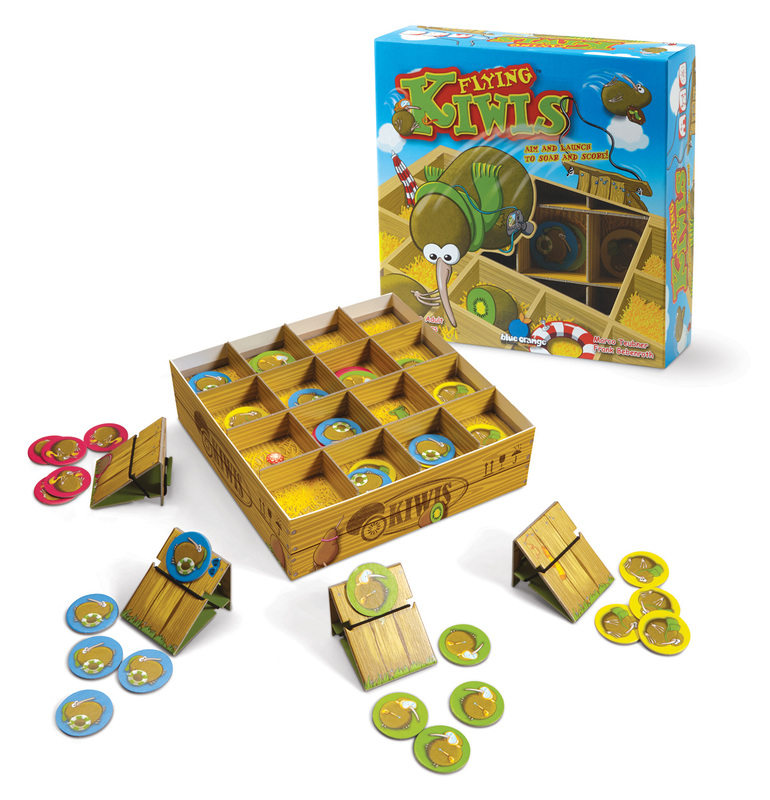 With 6 double-sided wheels, 100 icons, 3 levels, and 6 games to play the searching fun is endless! Who’s faster? Slower? Bigger? Smalller? 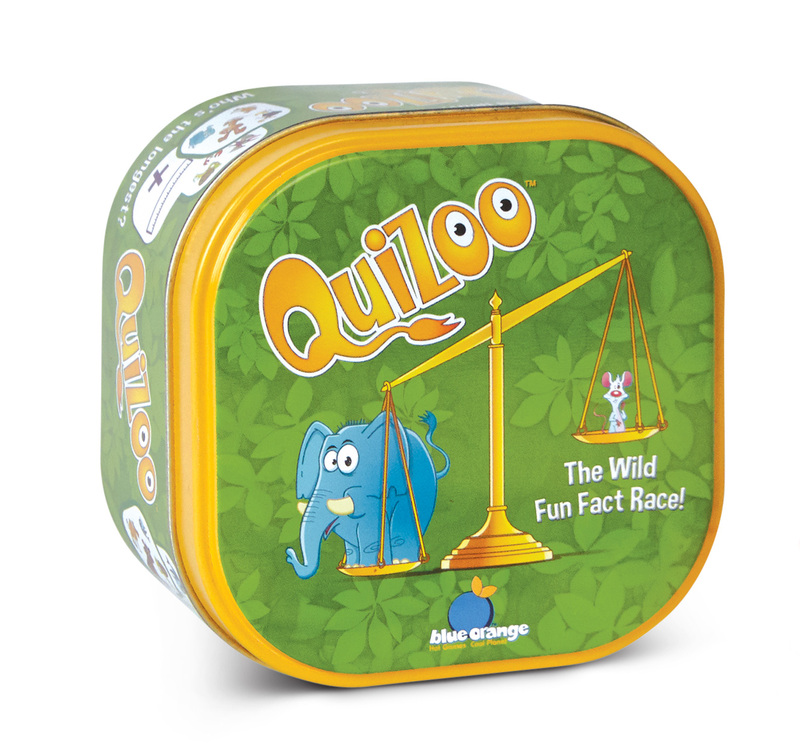 Compare and learn about animals’ average weights, sizes, speeds, and lifespans in this quick-thinking card game. Flip a card and race to be the first to shout out the right answer! Collect the most cards to win and rule the animal kingdom! Classic Feel: New games that already feel like old favorites! Less is more in this subtle card game. Group the cards in your hand by number and color to try cancelling out their point values. 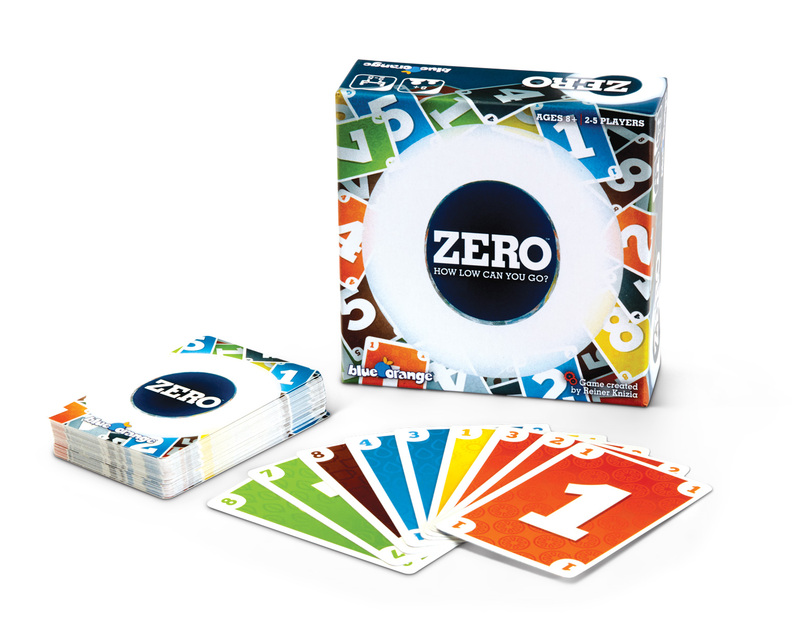 Multiples of cards are scored as zero, so each number is only counted once. Trade cards while keeping a watchful eye on your opponents. Mind your strategy as you all reach for the goal of cancelling out your hand and achieving the ultimate combo: ZERO! In this aviation-themed card game, collect enough cards in your hand to send your fleet through the different stages of takeoff, and then high into the sky! Navigate weather problems, mechanical failures and your opponents’ strategies in order to successfully launch your whole fleet. Get all your planes off the ground before your opponents’ to win. 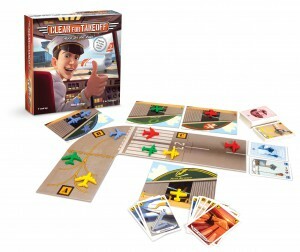 Clear for takeoff was invented by a real pilot! Pile up your points in this stacking dice game. Roll the tilted dice and then carefully stack them up in numerical order. Stop at any time to win the number of points in the stack, or take a chance and try to stack all 6. Once you have stacked all 6, do you dare to try and double your points with the Golden Die? Just make sure to not let them fall or you’ll lose it all! Will you risk it all? 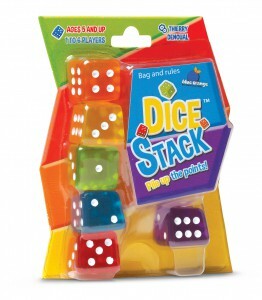 Roll all 6 dice and win the number of points that match the big colored die. Decide to bank your points, or take a risk and roll again. 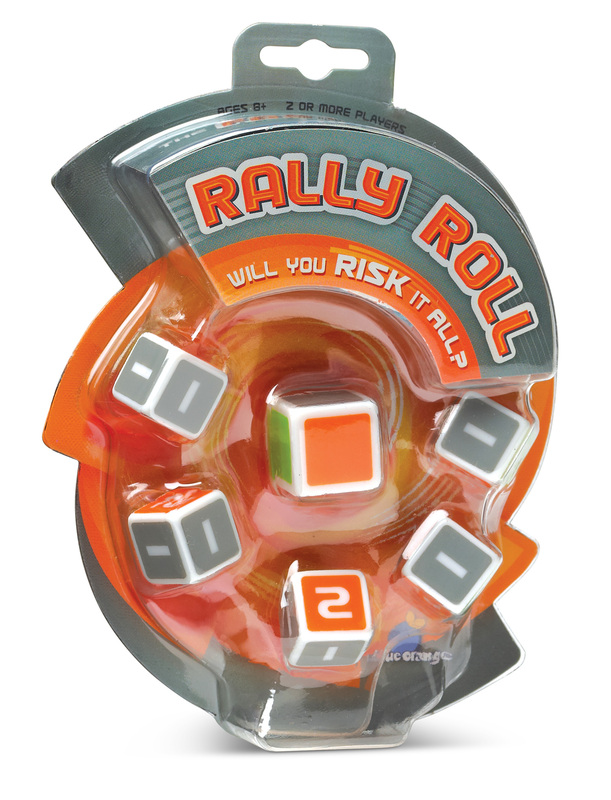 Keep scoring as long as you have numbered dice that match the colored die. If nothing matches, forfeit all points won that round and try again next time! Take big risks with this fast and fun dice game! Explore the lands and expand your kingdom! 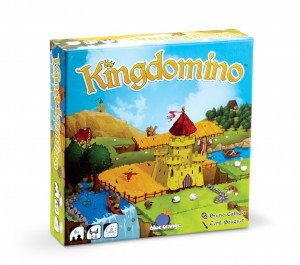 Each turn, connect a new domino to your existing kingdom, making sure that at least one of its sides connects to a matching terrain type already in play. Don’t forget to include dominoes with crowns on them, these royal treasures double the worth of your kingdom! Build up your 5×5 grid as best you can, as the player with the richest lands takes it all! Kingdomino had a small prerelease at the end of 2016, but it will now be available in specialty toy stores and online.